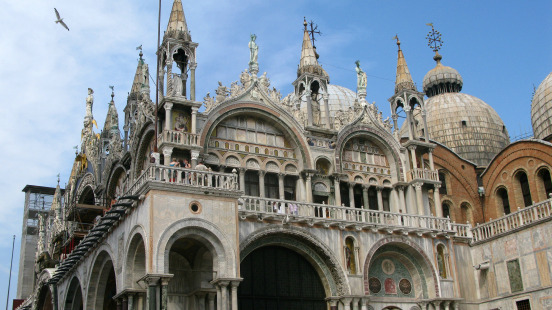 Saint Mark’s Basilica is the cathedral church of the Roman Catholic Archdiocese of Venice since 1807, prior to that it was the chapel of the Doge. It is located in Venice, Italy. The detail and the architecture of the cathedral is astonishing, it was a symbol of Venetian power and wealth. From the 11th century the building had a nickname Chiesa d’Oro (Church of Gold). What a beautiful area to spend time feeding the pigeons in the Piazza San Marco, sitting by the water, people watching or taking a gondola ride.